Friends and family Pharrell x adidas NMDs. Readers will get the chance to own a pair of Pharrell x adidas NMDs this weekend when the sneakers hit adidas Originals accounts on July 22. But, not every pair out there will be available for public consumption. 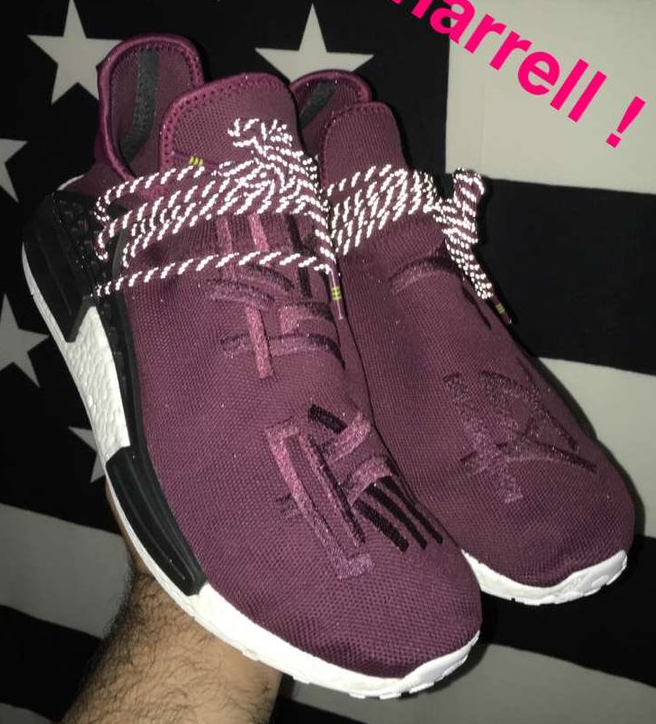 This burgundy version of the shoe, spotted on the Snapchat of Upscale Vandal, appears to be a friends and family exclusive. The pair literally reads "Family" on the right shoe and "Friends" on the left, suggesting that none beyond that exclusive group will be allowed a pair. While this one doesn't appear to be releasing, there should be more retail versions of the Pharrell adidas NMD on the way.